Can not be sent international. 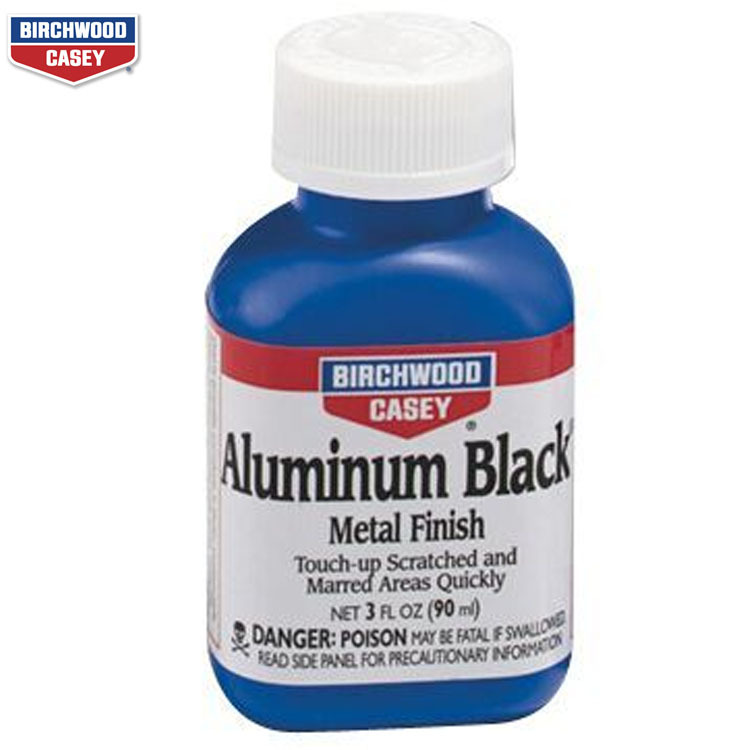 The room temperature chemical used by gunsmiths and industry to blacken aluminium parts. Restores scratched and marred areas quickly. Fast-acting liquid is easy to apply with no dimensional change. Colour will vary from deep gray to black depending on alloy. Aluminium Black Metal Finish is also excellent for blackening name plates, plaques, trophies and other engraved items. 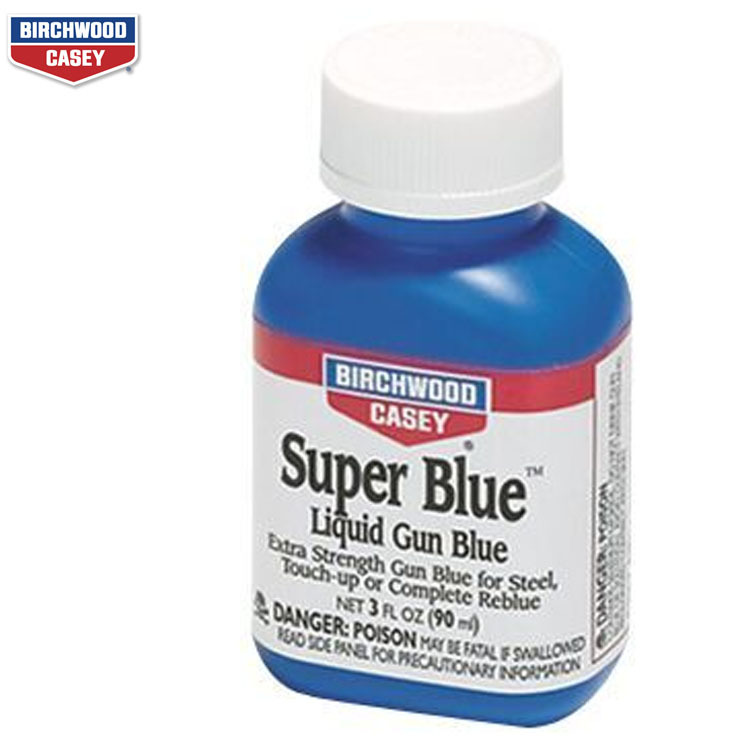 Fast-acting liquid used by gunsmiths and industry to blacken or antique brass, copper and bronze parts. Easy to apply with no dimensional change. Often used to mark cartridge cases to identify loads. Excellent for blackening name plates, plaques, castings, sculptures and other home, workshop and hobby uses. Colour varies depending on alloy and can be highlighted if desired. 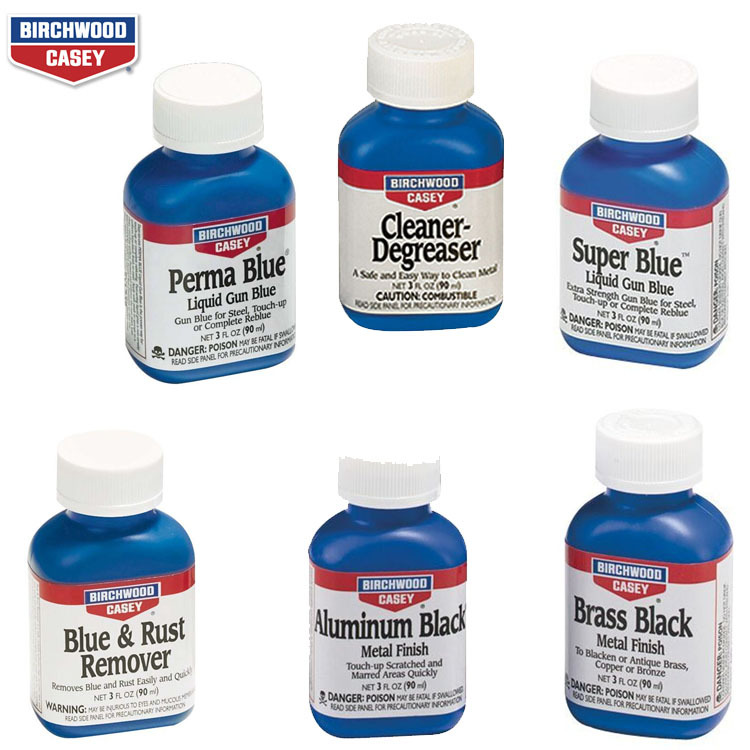 Blue & Rust Remover is a safe, reliable solution that removes rust and old blue easily and quickly without damaging base metal. Safe for removing old finish from firearms, muzzle loaders and antiques. 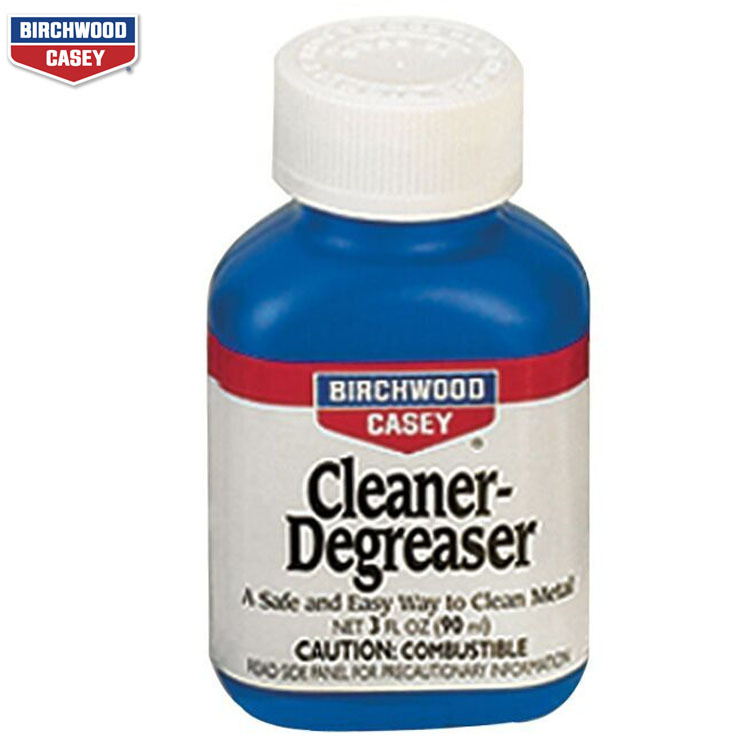 Also excellent for removing rust from tools, gauges and precision instruments. 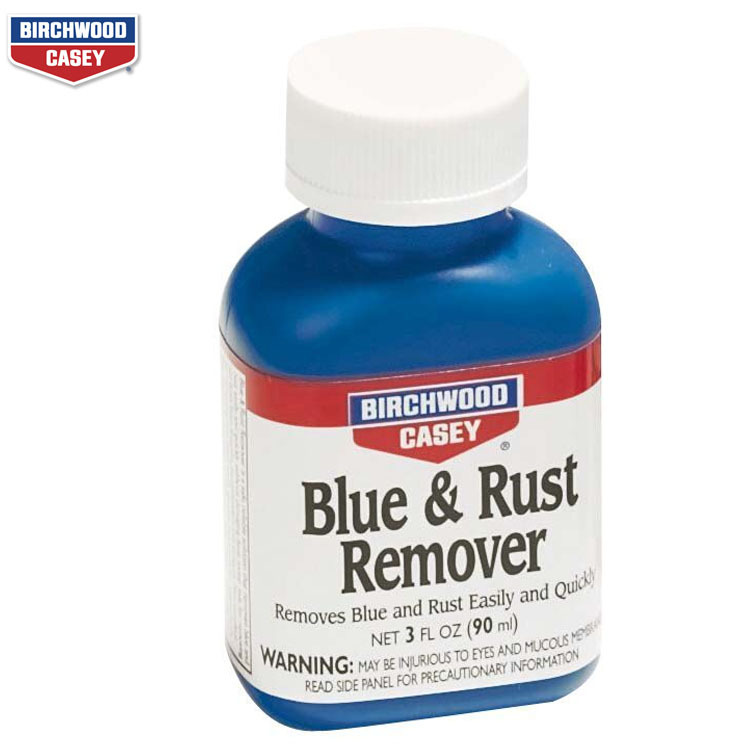 Blue and rust removal is a necessary step before reblueing or browning. 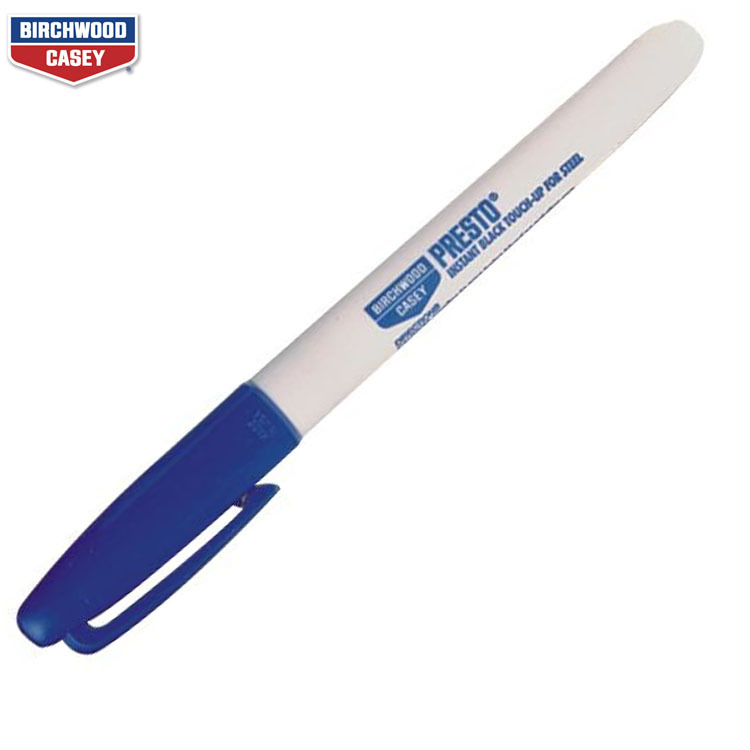 The Birchwood Casey Industrial Touch-Up Pen is a specially formulated, super permanent ink that you can use on nearly all materials, metals, plastic, textiles… as a touch-up or permanent marker. For blued steel and black anodized aluminium, the industrial formula remains permanent against most solvent/chemical washes. Also resists bleeding and fading when exposed to light, steam and heat (up to 500° F). 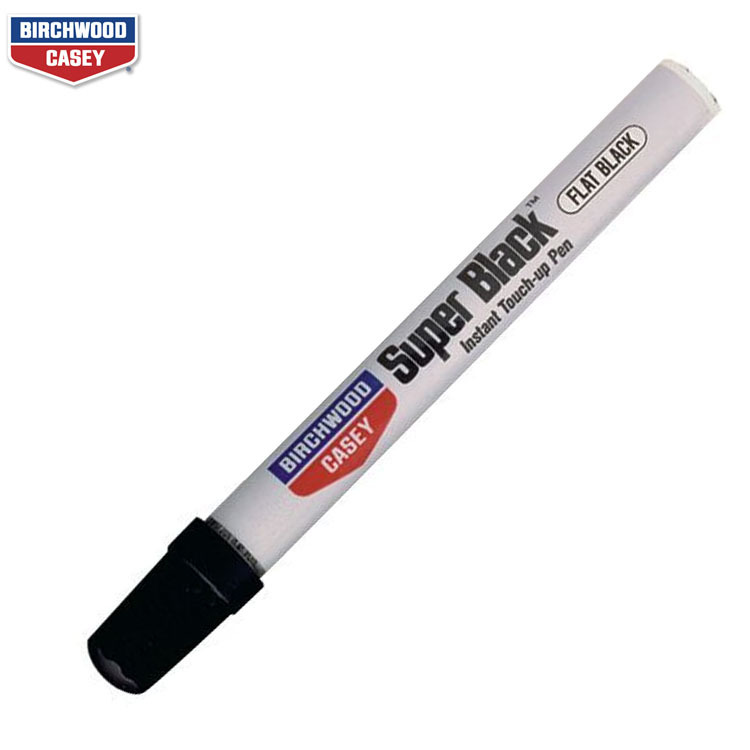 Excellent black colour match for nearly all touch-up applications; for both gloss and matte situations for shooting and hunting enthusiasts. 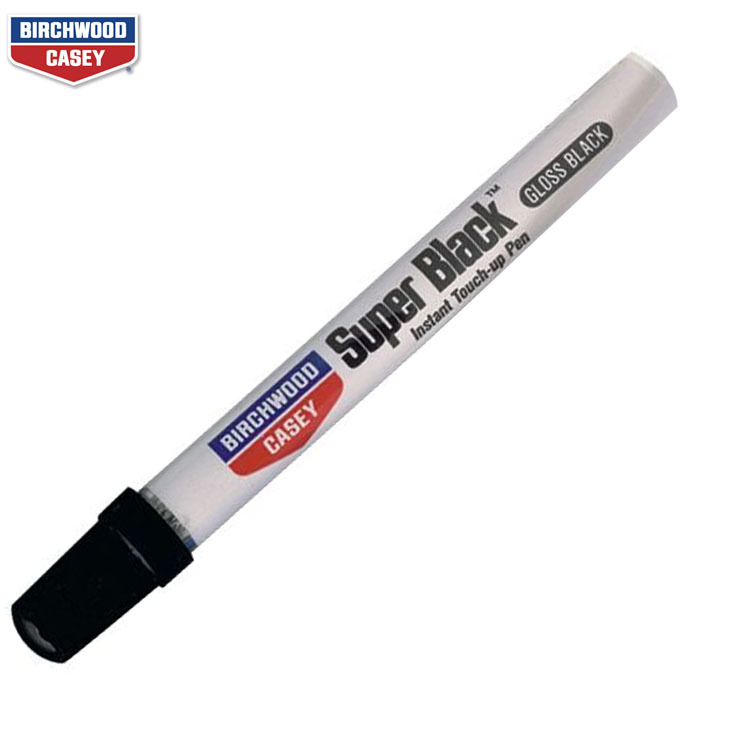 The Universal Touch-up Pen is an excellent product for most touch-up and marking applications. 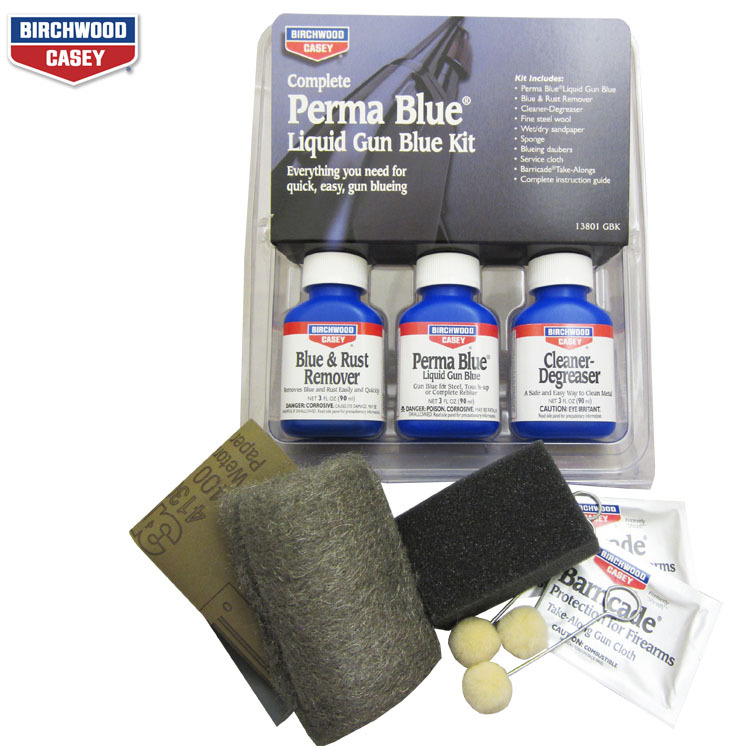 Birchwood Casey Perma Blue Liquid Gun Blue Kit. 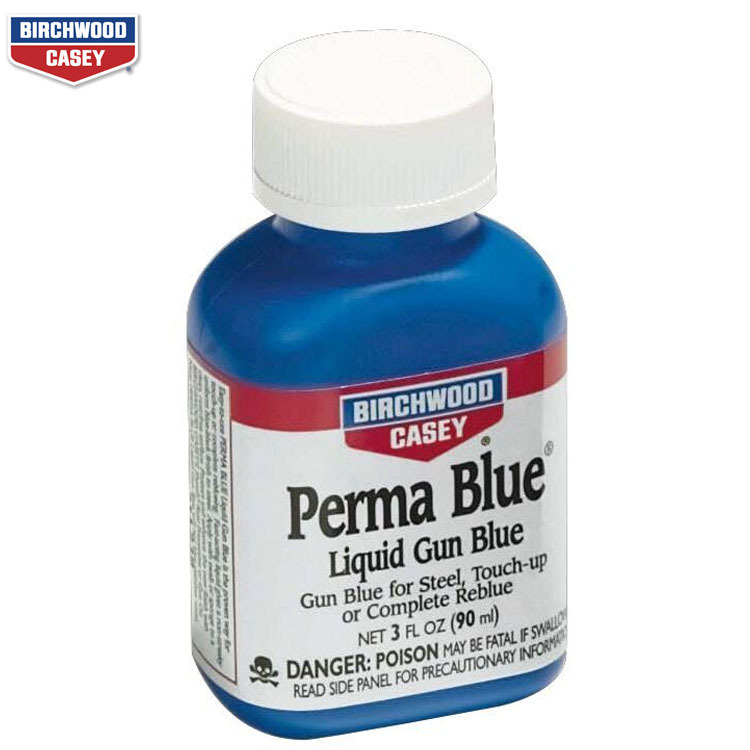 Easy to use Perma Blue Liquid Gun Blue is the proven way for touching up or completely reblueing most guns. 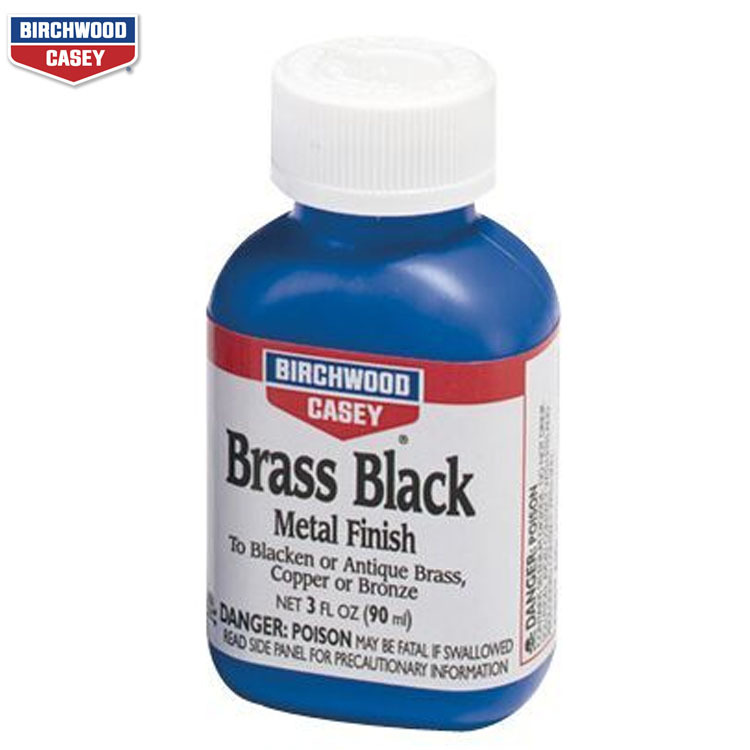 Fast-acting liquid gives a non-streaky, uniform blue-black finish to steel. Everything you need to do a “professional looking” job is included in this kit.